Learn from Hot Yoga Master Bill Thwaites who has over 6,000+ hours of coaching experience. Bill's unique insight often challenges established dogma helping students gain a more enriched perspective. His knowledge and understanding has helped transform the lives of many people with limited flexibility and musculoskeletal issues such as Multiple Sclerosis, Sports Injuries, Back Pain, and the typical health problems we all suffer from. Bill has worked with professional dancers and athletes to up their game and ensure they don't suffer the injuries typically found within their profession. Guiding Bikram Method students to the level beyond the beginners mindset we all initially attach too. Guaranteed to build exceptional strength; enhance flexibility; more energy; increase stamina; enhance focus and clarity of mind. We guarantee this no mater what limitations you believe currently hold you back. When in a posture, students are unaware of the need to focus their attention on using strength to physically creating space within the joints of the body, instead they are always chasing some perfect idealised form. No one has shown them how to physically open their body using strength, which is surprising as this is more important then depth and alignment combined. Most students remain stuck with the same Beginners Mindset, where the Mind is always micromanaging everything and holding tightly onto perceived limitations. No one has showed them how to transition away from the mind in control to the body in control, turning off their analytical mind. The process of transitioning, turning off the analytical mind placing the body in control, has to happen if you wish to master any physical activity such as playing the piano, dancing, running or yoga. Unleash the Body Within online programme guides hot yoga students through the transitioning process, turning off their analytical mind. We do this by first rewiring a better version of the postures into their muscle memory, undoing old bad patterns, embedding the act of using strength to open the body. Then, we guide students through the process of transferring control over to their body. Its great fun and extremely powerful. The body knows precisely which muscles to use, with a precision that the analytical mind could never figure out. 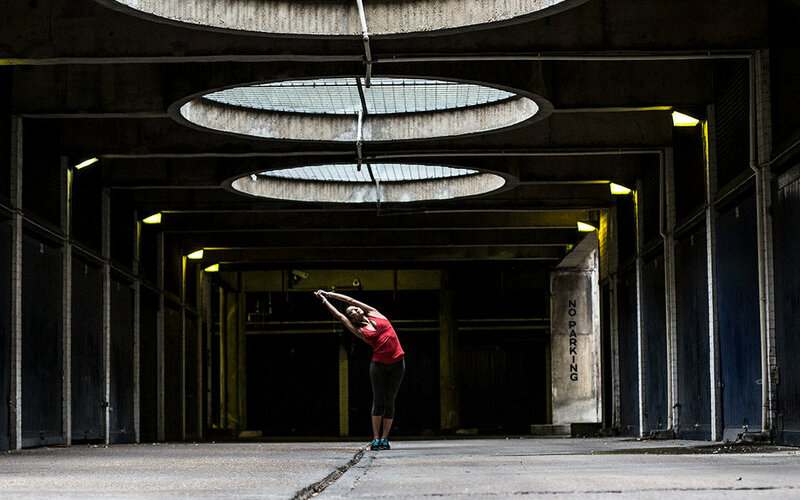 The programme sets up a regular home practice that compliments your studio hot yoga classes. Whatever physical or mental imitations you may think holds back your yoga practice, you will discover that those thoughts are just that of a Beginner's Mind. more strength; greater mobility; more energy; increased stamina; enhanced focus and clarity of mind. Online Academy: The programme is delivered via a weekly series of instructional videos. Each week builds on from the previous week. Hot Seat and Group Coaching: Conducted via the Zoom video conference platform, Bill Thwaites will be running weekly support sessions answering student's individual questions, if required giving modifications that work. 1 to 1 Email Support: If students has a question they prefer not to discuss within the group coaching session all student have access to Bill Thwaites via email. Home Practice: Without action nothing happens. The programme starts with a powerful 3 minute morning routine and each week additional postures are added building up to a 30 minute routine. These routines rewire a better version of the posture into muscle memory and will transition to the next level. Students need to do these daily short routines. On the beach; on a plane; on a road trip; in your hotel room .... on those days when you cannot get into the hot room. Re-wired a better understanding of what is required in each posture into your muscle-memory. A clear understanding of the transitional stages required to mastering your hot yoga practice. Developed a regular home practice that supports your studio yoga classes. A clear understanding of how to devise your own yoga routines that exactly meet your needs. A clear understand of the power a mindful meditation practice can have, helping you to observe your triggers and building a new you. You will have more energy, more stamina; greater mobility; greater strength, enhanced focus and clarity of mind, for your hot yoga practice and lifestyle.